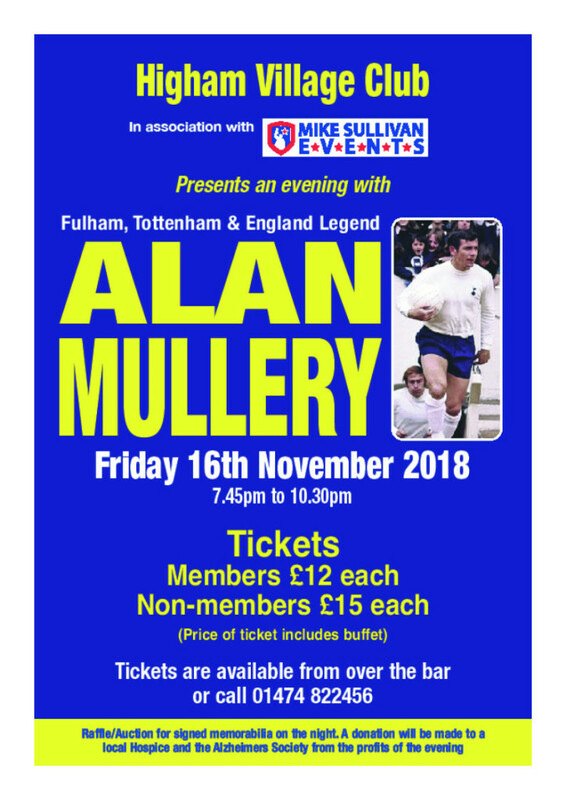 Tickets are now on sale for our Alan Mullery event. Members £12 and Non-Members £15, price includes evening buffet. Please come and support the Club and meet Alan and hear about his career with Fulham, Tottenham and of course England. Memorabilia auction on the night.